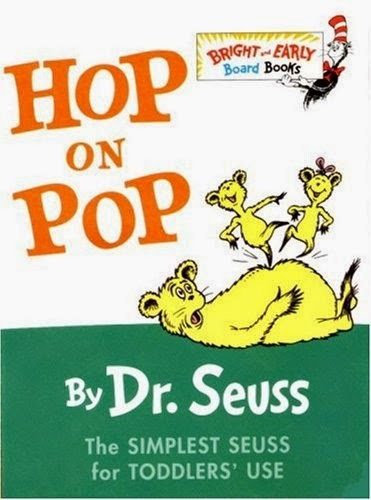 The most important book in my life was Hop on Pop by Dr. Suess. My mom brought it home one day—I think I was four—sat me down at bedtime, and started helping me sound it out. We’d done letters and letter sounds on signs, on cereal boxes, on doors and light switches, on refrigerator magnets. Animals made noises, so it made perfect sense to me that letters did too. A cat says meow, a dog says woof, a cow says moo, and a P says Puh. An H says Huh. And O says ahhh. Put them all together: Huh-ahhh-puh HOP!!! HOP!!! Ahhh-nuh ON!!! Puh-ahhh-pop POP!!! It was an epiphany moment. The world was suddenly bright and full of possibilities. I knew I could read anything now. Thanks to phonics and my mom’s perfect Julie Andrews British diction I could tell the difference between POP and PUP, between SIT, SAT, and SET. 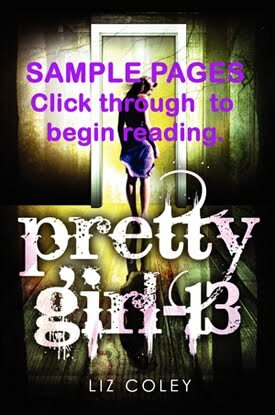 The important words in the book were spelled in capital letters—no b, d, p, q confusion possible—then the little letters were repeated underneath. Genius. Each little vignette told a simple story, often with humorous conflict: “We play all day. We fight all night” was completely recognizable sibling behavior. I was the big sister. I got it. There was psychological support for kids; a less than patient parent at dinner could be explained by reference to “Dad is sad. Very, very sad. He had a bad day. What a day Dad had!” The big words, “Constantinople and Timbuktu,” became recognizable and fun to say. They promised great things ahead—the idea that as you grew up you’d learn new and wonderful words. Mom and I worked through the book night after night. I went back to it by myself over and over again. It was the most powerful tool I had ever held in my hands.